NuWaves Engineering is a veteran-owned small business founded in 2000. They are a premier supplier of Radio Frequency (RF) and microwave solutions for military, government, and industrial customers. 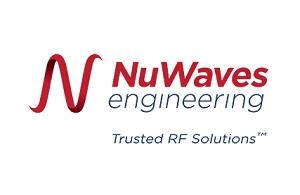 NuWaves provides quick-tempo design and engineering services, from High Frequency (HF) through Ku-band, that address the most demanding customer requirements, such as electronics hardware miniaturization, project cost, and schedule. NuWaves also offers a broad catalog of high-performance commercial off-the-shelf (COTS) RF products from HF to X-band, including RF power amplifiers, RF frequency converters (upconverters/downconverters), low noise amplifiers, RF filters, etc.